Tyres are an important part of your motorcycle, especially if your making the most of the dry summer roads. No matter how much horsepower you have, without this final connection to the road, you lose. 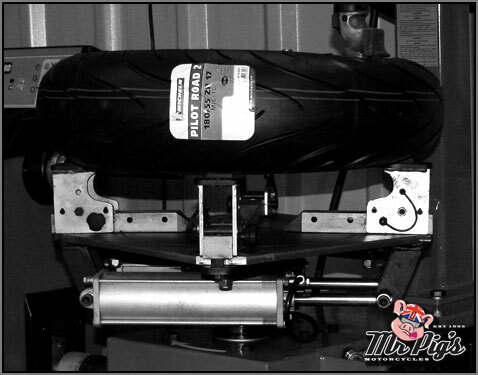 To aid your suspension, we have invested in the latest equipment to fit and balance all tyres, (including single sided swing arms). Please call 0161 272 6088 now, to discuss your particular needs from touring to race tyres.